Viknesh Vijayenthiran December 22, 2015 Comment Now! Tesla Motors [NSDQ:TSLA] famously became the first to introduce a network of fast-charging stations for its customers and offered the services for free, meaning owners of vehicles like the Model S and now the Model X will be able to drive across the country without paying a cent for their electric ‘fuel’. Now the major automakers are in catch-up mode. The first to attempt to challenge Tesla are BMW and Nissan. 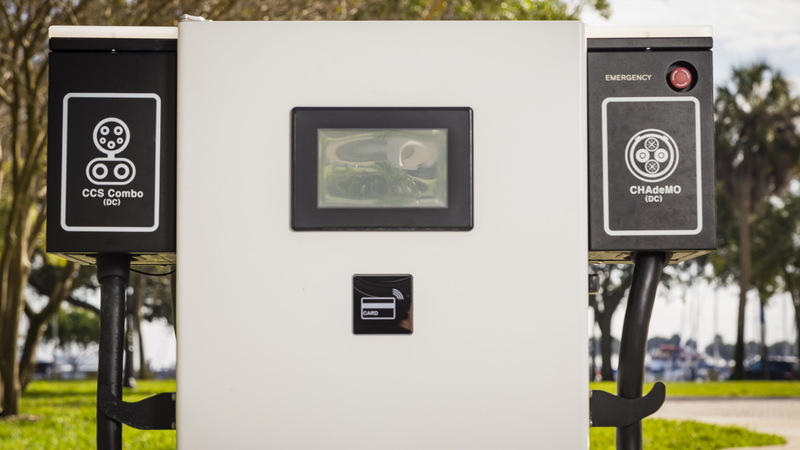 The two have joined forces to establish a network of fast-charging stations, but unlike Tesla’s proprietary system these will be open to most electric cars capable of fast charging. 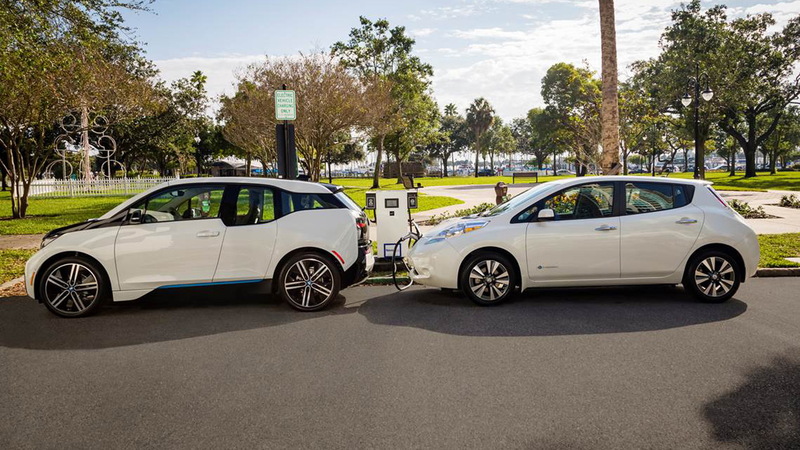 Each of the BMW/Nissan stations offer a dual-50-kilowatt DC fast-charging system with both CHAdeMO and CCS (Combo) connectors, serving vehicles like the BMW i3 and Nissan Leaf. There was no mention of the cost, and that won’t be the only downside compared to Tesla’s free Supercharging network which now numbers close to 600 stations around the globe. The BMW/Nissan stations are generally smaller and they aren't quite as quick as the Tesla network. With Tesla’s Model S, you get around 170 miles of range after a 30-minute charge. BMW/Nissan say you get 80 percent of your i3 or Leaf’s battery charged in 20-30 minutes but this equates to less than 86 miles for the either the i3 or Leaf. Of course, the initial cost of a Model S or Model X is significantly higher than that of an i3 or Leaf, though Tesla is working on the more affordable Model 3. 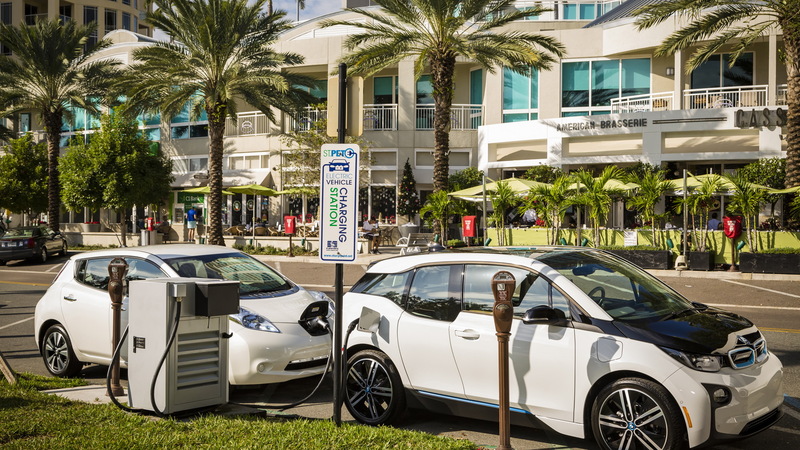 At present, BMW and Nissan have established 120 stations across 19 states. The list includes California, Connecticut, Florida, Georgia, Illinois, Indiana, Maryland, Minnesota, Missouri, New Mexico, Nevada, New York, North and South Carolina, Ohio, Pennsylvania, Tennessee, Virginia and Wisconsin. Vehicle owners will be able to locate the stations either using their navigation system or special apps.